Nerdy guys – you know ‘em and you love ‘em. But do you know how to shop for them? Nerdy guys have tons of great qualities: They’re smart, they’re caring and they’re passionate about their interests. But finding the right gift for your nerdy boyfriend can get confusing and complicated. Fortunately, we’ve scanned the universe to bring you the top 10 gifts for your nerdy programmer boyfriend (or husband or friend). Plus, our complete buyer’s guide will help you figure out how to match your guy’s interests to a gift they’re sure to love. 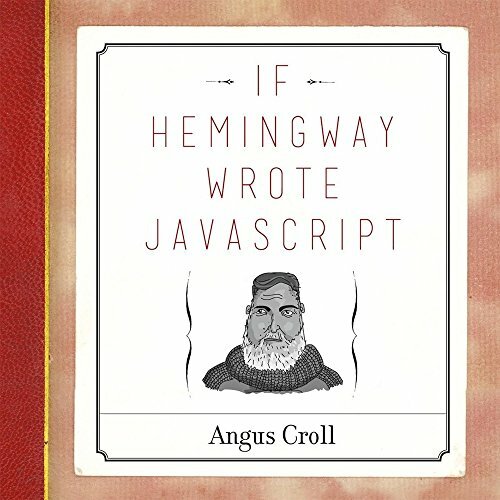 11 What Makes a Great Gift for Your Nerdy Programmer Boyfriend? 12 What Type of Nerd is Your Boyfriend? 13 What Nerdy Stuff Does He Already Have? 14 How Can You Personalize the Gift? 15 What Ideas Do You Want the Gift to Express? 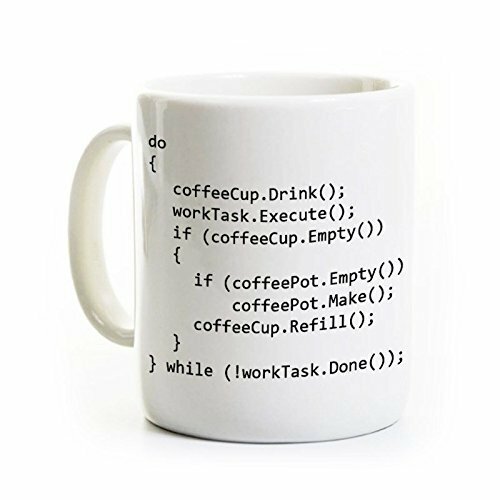 Coffee is the lifeblood to a computer programmer, and this coding-themed mug is sure to make your boyfriend smile even during long sessions behind the keyboard. The mug has a hilarious pro-coffee-drinking message written in the C++ programming language. The 11-ounce ceramic mug has a glossy finish with clear images and lettering designed to last for many years even with daily use. Mug is both dishwasher and microwave safe. Nerdy guys love to quote movies. 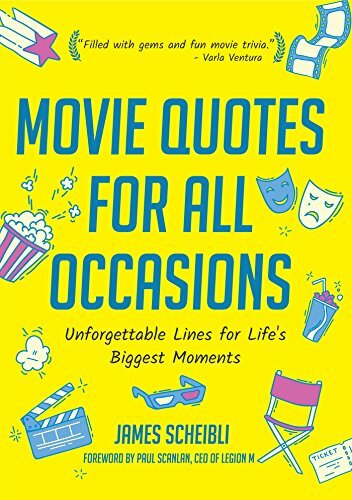 Help your guy find the right quote for any occasion with Movie Quotes for All Occasions. This fun and fact-filled book collects great quotes throughout the history of film. While your boyfriend’s favorite movie quotes will certainly be in this book, he’ll also be surprised with plenty of quotes he’s likely never heard before. With a full and easy-to-use index, readers are able search quotes by types, making it easy to find the perfect movie quote for any occasion. Chances are probably pretty good your boyfriend had a Nintendo Game Boy when growing up. 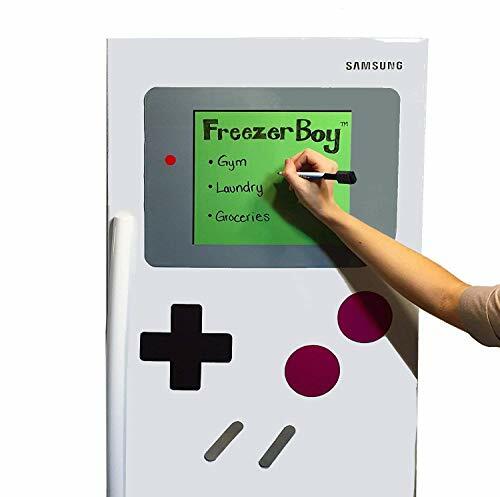 Well, now you can add a big splash of delightful nostalgia to your kitchen with this Game Boy-themed refrigerator magnet and dry erase board. Magnets for the refrigerator resemble the direction pad and four buttons (A, B, Select and Start) of the classic Game Boy. A 16 inch by 12-inch magnet goes on the freezer, where it resembles the classic green-and-gray screen. But this “screen” is actually a dry erase board perfect for writing down needed groceries, important reminders or even just notes between you and your man. Does your boyfriend have an interest in cooking, or just a general lack of kitchen utensils at his place? A set of measuring cups is often an appreciated gift whether your boyfriend is a chef or completely clueless in the kitchen. Even better, this set of cups is Star Wars themed, which your geeky boyfriend is sure to love. Four measuring cups (1/4, 1/3, 1/2 and 1 cup) stack to form beloved droid R2-D2. 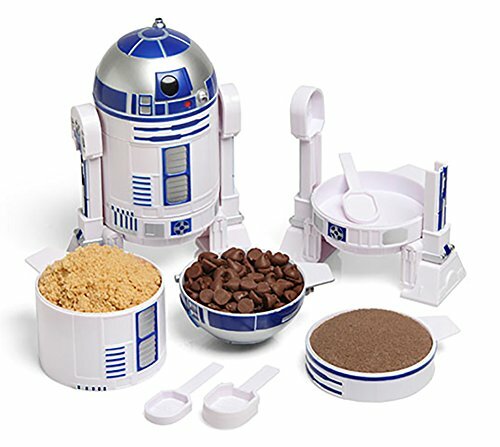 Additionally, R2’s arms detach to reveal nested measuring spoons (1/4 and 1/2 teaspoon and 1/3 tablespoon). All materials are made from food-grade ABS plastic. Nerdy guys like cool little gadgets – and what’s cooler than a miniature, working catapult which can sit on your desk? This catapult is a tiny model with pre-cut pieces which the gift recipient puts together themselves. Easy-to-understand assembly instructions and glue are included. Once assembled, the two-pound catapult actually works. Launches rolled-up paper, pebbles and other small projectiles up to 20 feet. 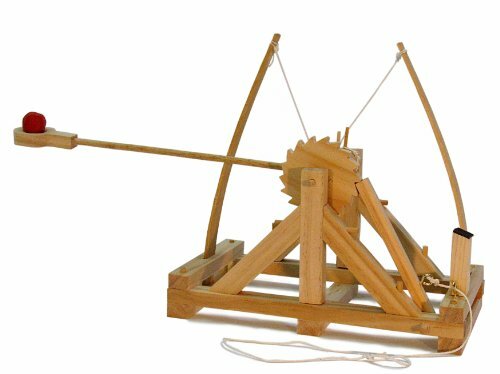 Even cooler, this catapult is a faithful recreation of an original da Vinci design from 1485. If everybody on Earth each pointed a laser pointer at the moon, what would happen? What if all the world’s lightning struck the same spot? What if all the water in the oceans simply disappeared? 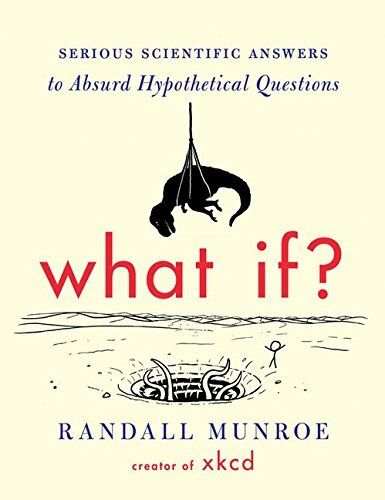 This book tackles the biggest, most elaborate what-if scenarios using real-world science and detailed reasoning. This book is backed by serious nerd cred, too. It’s written by Randall Munroe, creator of the hit webcomic xkcd. His irreverent style is hilarious, informative and easy to understand. The hardcover book is 320 pages and covers hundreds of topics. Remember floppy disks? Your programmer boyfriend certainly does. While they’ve been replaced by the cloud and USB drives, floppy disks were once an important part of early computing. 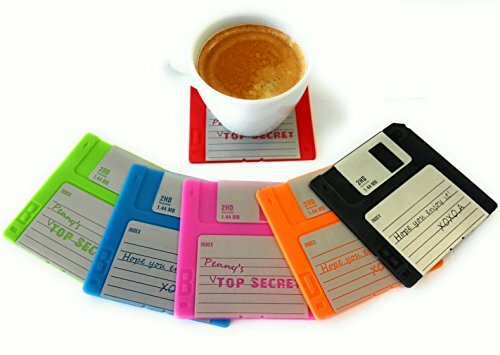 These coasters aren’t real floppy disks. They’re replicas designed for hot and cold drinks. Made from soft silicone, the coasters protect against scratches and wet spots. Plus, they even have fun, fake handwriting to resemble real floppy disks! Give your programmer boyfriend something decidedly old school with this poster-sized illustration of an actual computer blueprint from 1889. 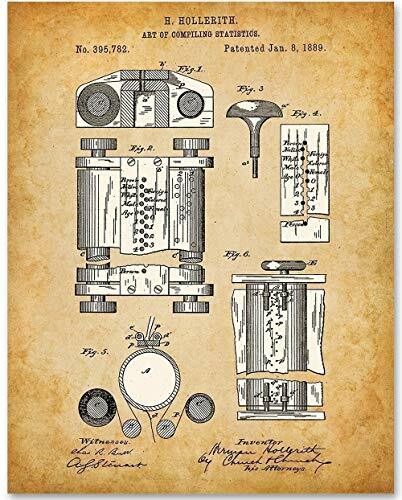 The illustration by award-winning artist Norm Lanier is a faithful re-creation of the computer’s original blueprint submitted for a patent over 150 years ago. The print is 11 by 14 inches. Printed on Fuji Crystal Archive paper, the print will stay crisp and readable for many years. A great conversation piece for the home or office. No matter how bright your boyfriend is, programming can still be pretty challenging. 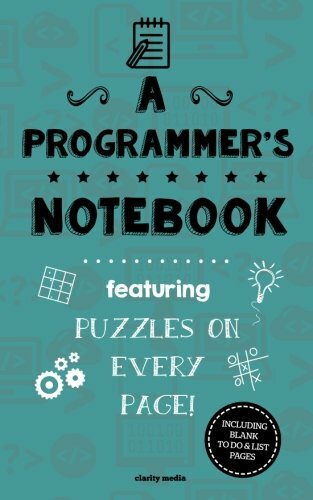 Help him keep his skills sharp with A Programmer’s Notebook. This pocket-sized paperback features over 100 challenging puzzles including Sudoku, anagrams, number puzzles and more. Each puzzle helps develop skills directly related to programming. Perfect for brief bursts of challenging fun throughout the day. The puzzle book is made from high-quality paper and has a range of personalized covers to choose from. What Makes a Great Gift for Your Nerdy Programmer Boyfriend? You love your nerdy programmer boyfriend! Whether you’re shopping for a Christmas gift, birthday gift or even a “just because” gift, you want to buy something your beloved will treasure forever. Fortunately, even if you don’t understand all the details of his nerdy pursuits, you can still find a great gift for any occasion. What Type of Nerd is Your Boyfriend? Understanding your boyfriend’s interests is key to finding a gift he’ll love – as well as helping you identify gifts to avoid. For instance, if he’s into Star Wars, then a Lord of the Rings action figure probably isn’t going to go over very well. What Nerdy Stuff Does He Already Have? A great gift is unique. You want to avoid giving your man something he already has. Fortunately, finding out what’s missing from his collection of nerdy stuff is actually pretty easy. Here’s a tip about nerdy guys: They love to talk about their passions. Ask your boyfriend some questions about his collection of comic books, action figures, electronic gadgets or whatever else he’s into. Try to subtly find out what his collection is missing, because that could be the perfect gift. How Can You Personalize the Gift? Make your gift as personal as possible by selecting something related to a specific memory. Maybe the two of you saw a Star Wars movie on your first date. A set of R2-D2 themed measuring cups isn’t just useful for the kitchen, but will also make him think back fondly on the early days of your relationship. Consider a gift which involves your time. Maybe your boyfriend has always wanted you to play video games with him. You could buy a game which the two of you can then play together. Any gift is great when it includes time spent with a loved one. What Ideas Do You Want the Gift to Express? The right gift is more than just some object your boyfriend will think is cool. Instead, a great gift helps communicates two ideas. First, you’re able to show your boyfriend that you understand what type of nerdy stuff he’s interested in. For instance, you recognize the difference between Star Wars and Star Trek, Apple and PC, and more. Also, the gift can help your boyfriend feel accepted by you. No matter how popular “nerd culture” gets, many guys are still a bit insecure about expressing their nerdy interests around girls. The right nerdy gift helps show your boyfriend that you’re cool with his less-than-cool pursuits. If you’ve got a nerdy programmer boyfriend, show him how much you care by giving him a great gift. One great aspect of dating a nerdy guy is that they often have a wide variety of interests. By finding something related to their passions, and combining it with an event unique to your relationship, you’re sure to find a great gift!